Ontario has promised three million new hours of home care personal support services over the next three years. While it sounds like a lot, keep in mind that about 32 million hours of public home care are delivered annually and another 20 million hours are paid for privately. 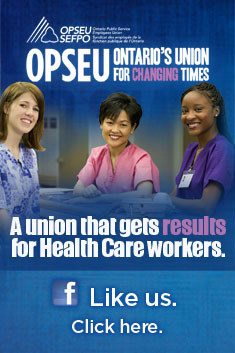 Further, the province is leaning heavily on the sector to offload clients from Ontario’s hospitals. The province tells us that the new hours will assist 90,000 more seniors, or 30,000 more per year. In 2011/12 a total 637,727 clients were served by home care according to the Ontario Home Care Association. Last year the province introduced a PSW Registry (Personal Support Worker), which sets qualification standards for these workers in order to be on the registry. Without the bother of creating a specific professional college for these workers, the registry was supposed to be a way of maintaining discipline among a group that is generally ill defined and whose duties can vary dramatically. Just before the December holidays, the province quietly introduced regulatory changes to expand which agencies can provide PSWs to do this work. The change in policy allows community support service agencies (CSS) to deliver personal support services, but will not require the PSWs hired by these agencies to be on the new registry – at least not yet. These support agencies have traditionally carried out functions such as delivering meals on wheels, carrying out homemaking duties, running social day programs, and providing transportation services to the frail and elderly. While such services can include respite care, they are generally not the kind of agencies that would provide a bath or assistance with toileting or dressing, for example. While it sets similar qualification criteria to the home care agencies contracted under the Community Care Access Centres (CCAC), the province has set strict maximums on this kind of service. The intention, we are told, is to expand the pool of PSWs, even if this group of PSWs will not have the same ‘theoretical’ level of assurance as those associated with the registry. We were told the CSS agencies wouldn’t need to exceed service maximums because they would be intended for lighter care needs only, as if lighter care somehow constituted a second quality tier. While CCACs can sometimes refer clients to CSS agencies, these agencies generally are accountable to the Local Health Integration Network (LHIN), not the CCAC. The question remains, why would the province want to do this? After going through all the trouble of creating the PSW Registry, why would they want to circumvent it by creating this backdoor? Further, if they plan to expand the amount of PSW hours available, why would they not reach out to the CCAC agencies that are already providing these services? Now we are seeing even more fragmentation as the province changes the rules to allow CSS agencies to do more of this work. Is this ultimately an admission that the home care labour policies of the last two decades have been a failure? Has competitive bidding and low wage contracting of such work created such a labour exodus that it has become necessary to bend the rules to find staffing in any way possible? And what happens when care needs change? If these agencies were intended only for light care, does that mean seniors must transition to CCAC-based home care agencies as their acuity increases? Will this extra step create a problem with continuity of care? There was a time when the same not-for-profits ran many of these services that made up the majority of CCAC-provided home care. For example, before the Niagara VON lost its home nursing contract in the region, they were also responsible for coordinating meals on wheels. Under competitive bidding, many of these not-for-profits were dissolved after they lost their major contracts and replaced by for-profit companies that had little interest in coordinating volunteers for community services. If we hadn’t gone on this massive misadventure, it is unlikely these regulatory changes would have even been necessary. You wouldn’t have needed a separate regulation because the providers of CSS services would have largely been the same agencies providing personal support and clinical home care. This entry was posted in CCAC, Health Care Professionals, Local Health Integration Networks and tagged community support service agencies, LHINs, PSW Registry. Bookmark the permalink. please send this to our MMP Randy Hillier. We met with him yesterday and he had a different take on theses issues.